What’s more fun on a Saturday afternoon in the Fall than sitting back, watching football and splitting a pizza with your friends? Not much. If you agree, then Cardinal Stadium is for you. The University of Louisville Cardinals play their home games in front of perhaps the most comfortable fans in the nation. All of Cardinal Stadium’s 56,000 seats are of the chairback variety. No other on campus stadium can make this claim. Louisville’s home stadium has the ability to expand to 80,000 seats as well as featuring a state of the art training facility. One of the most impressive features at Cardinal Stadium is the ability to treat injuries. The University of Louisville’s partnership with Jewish Hospital and the Frazier Rehab Center provide visitors the highest level of care possible with a full trauma center and three fully staffed first aid stations. Outstanding features such as this make Cardinal Stadium one of the very finest in the nation. It is also one of the few college football stadiums that has sold the naming rights. The stadium opened in 1998 with a seating capacity of 40,000. 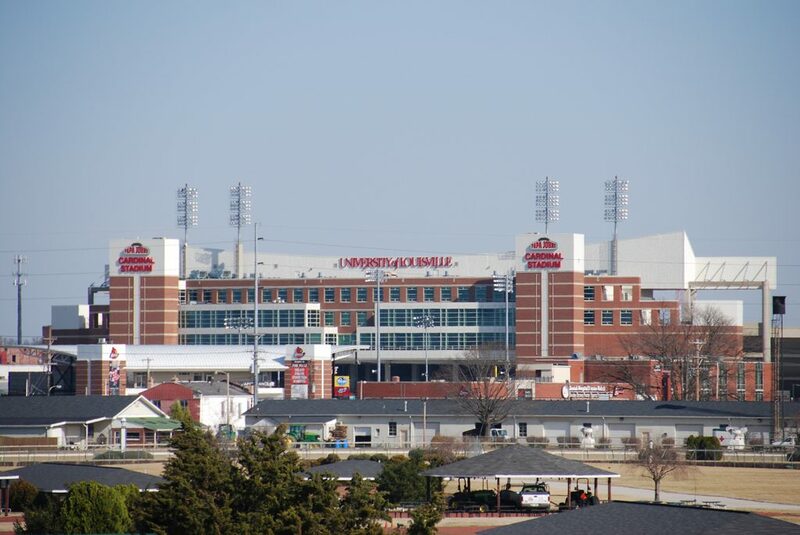 In November 2006 the Louisville Athletic Association Board of Directors approved a $63 million expansion that increased the capacity of Cardinal Stadium to 55,000. This expansion was completed by the 2010 season, includes 2,000 luxury seats and 45 luxury suites on the east side. The current grandstand was extended to the ends the Howard Schnellenberger Football Complex and an upper deck was added to the east grandstand. New HD video/scoreboards were also part of this project. 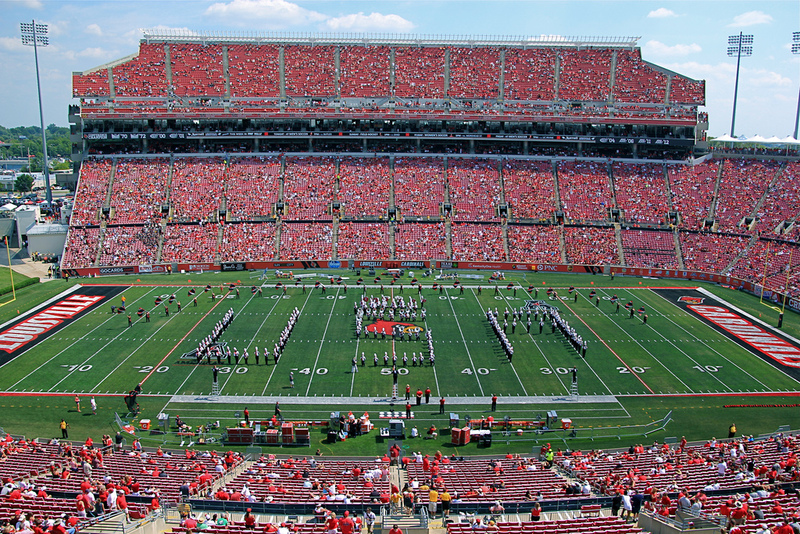 In August 2015 the University of Louisville announced plans to expand Cardinal Stadium to seat 65,000 fans. This expansion, at the north side of the stadium adds 10,000 seats and includes 1,000 club seats and 12 field level boxes. It also includes a new football complex. The project was completed by the 2018 season.